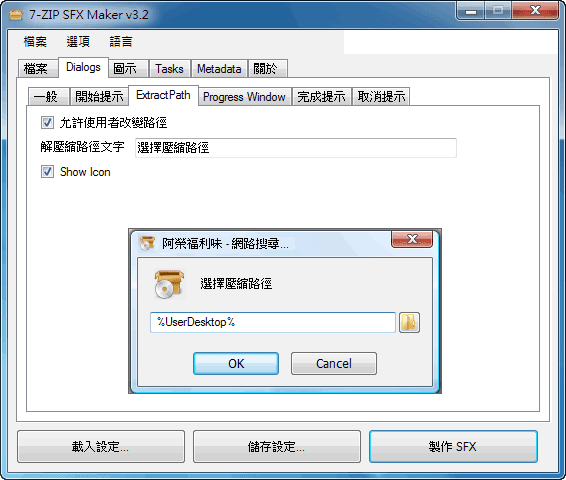 This is a tool for making Self Extracting EXE files from 7-ZIP files. This program uses the modified SFX module developed by Oleg Scherbakov. This program requires .NET Framework 2.0 or above to run. Version 3.5 or 3.5 SP1 is recommended. - Create shortcuts for current user or all users. - Run multiple programs one by one after extraction. - Select overwrite mode for files. - Compress SFX stub with UPX to reduce size. 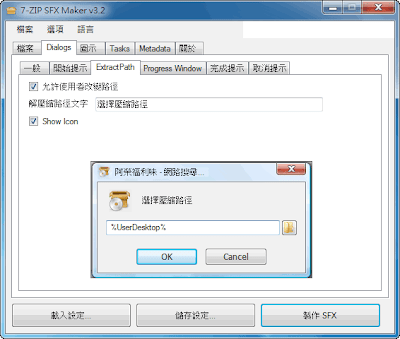 - Enable/disable XP Visual style. - Set extraction path. Allow/deny users to change the path. - Extract to temporary folder for software setups.